And no matter how many times we get asked this question, we’ll start looking into the sky and counting the numbers in our heads. I (Tay) never get it right. Each time I count, I seem to arrive at a different answer – 6, 5, 7… maybe 8.5? The truth is, it doesn’t matter to me how long we’ve been “together”. What matters more, is how our journey together has unfolded – not what we’ve done or achieved together – but rather, the lessons we’ve helped each other learn, and the different evolutions of “self” we’ve seen each other through. Last Friday, right after a coffee meeting where we had this conversation, I found my stomach churning from the caffeine. Food. I need food. Since we were near the Pike’s Place Market, we thought we’d grab a bite there. Only, we were greeted by the Easter Holiday crowd. There were throngs of people everywhere. Every food place had a meandering line. Hanger (hungry anger), had also descended upon me. It felt like everywhere I walked, mindless tourists walking aimlessly would knock into me. I probably had a scowl on my face as I tried to charge my way through the market, out of there, and towards… food. Urgh!!! I let out a grunt of frustration. At that very moment, Val swooped in right next to me – lovinging held my arm, and patiently maneuvered me through the crowd, onto the main streets, into a cafe where we were immediately seated and served. Val: There’s no such thing as unconditional love. Even in that, qualifying love as “unconditional” – is conditional in itself. Tay: Then what are we teaching on April 10th, if we’re not teaching unconditional love? Isn’t that how we “heal the heart”??? Firstly – healing ain’t about fixing. So when we say “heal your heart”, we don’t mean mending all the broken pieces, scars, and open wounds with a love-branded glue. Second thing – like you’ve shared so many times… and I’m reminding you now – spirituality is a remembering. Of who we truly are, of where we came from, and where we’re headed towards. Hence, hashtag remember LOVE. The LOVE that is big enough for us to experience each experience fully – joy, grief, celebration, disappointment, compassion, anger, fulfillment, broken-ness, etc. Tay: Hmmm…. I hear what you are saying, and it’s still flying past my head. Say that in another way. Val: Remember the time when we were working on my heartache? When this 4-year-old version of me wanted me to practice letting my heart expand and grow bigger and bigger, even if it means bursting? Because if my heart is constricted and small – whatever injury or trespass, no matter how small, bruises my heart big time. But if my heart is so big and expansive – whatever hurt or harm that comes its way, is now a drop in an ocean. And I remember who I am… Sum of all these droplets. And more. I think all parts of me heard what Val said. Because I literally felt my heart open. And the turbulence in my stomach stopped. I sat back, recounting the moments when I’d lost my heart space and spiraled into a loop: frustration > anger > disappointment > helplessness > unworthiness > repeat. We’d agreed that that’s my cue to check into my energy space – release what isn’t mine, reveal the gifts underlying what is mine, and respond from a space of… yes, love. [bctt tweet=”We all need a reminder to love.”] To remember this love that’s within ourselves, yet as wide and as deep as the ocean; big enough for us to experience the many droplets that make up life. or clients’ negative feedback, resistance, or lack of perceived results. Funny how when you put out a retreat on “LOVE”, the Universe sends you on an exponential learning curve… And bursts your heart open in the middle of a cafe, in the middle of downtown, in the middle of hanger. 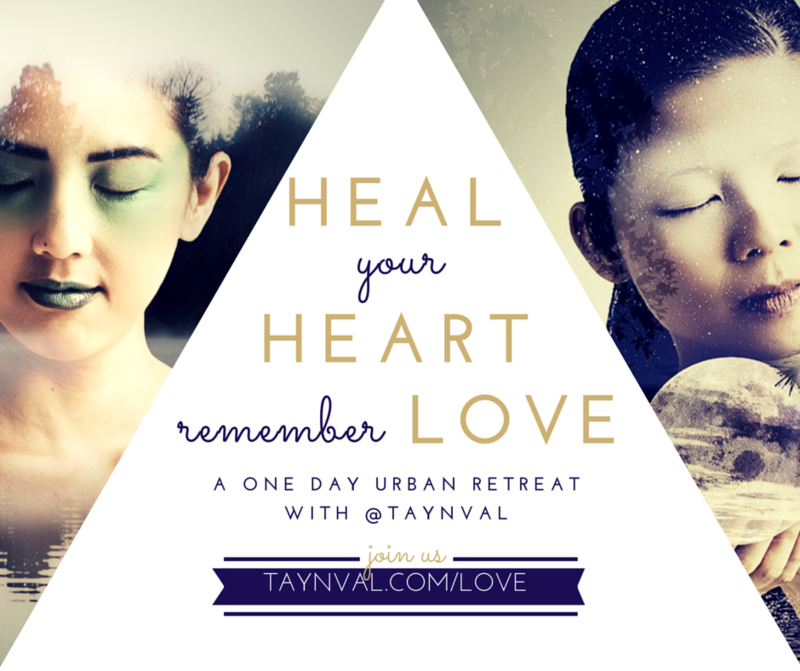 and sharing heart-led strategies for heart-centered businesses. When was the last time you had a #HangerMoment – when you lost your heart space and spiraled into an emotional loop? What did you do to get back to your truth, your heart center? P.S. And just in case you are indeed curious about how long we have been together; the answer that truly makes sense for me is here.